Thriller Thursday - When You've Crossed The Line! SNGF - Who Is Your Most Recent Unknown Ancestor? Is The Lost Colony Found? I’m going to touch on something you may, or may not, believe in. Reincarnation. I, too, was a skeptic, until about 12 years ago. My daughter and I had read a book by psychic Sylvia Browne. I had been a great admirer of kindness and psychic help to those who wanted even the smallest sign of hope that a loved one who had passed on was happy. She didn’t get results 100-percent of the time. But she was always the kindest, and wanted, truly, to help those who needed help. So… this was Sylvia Browne’s book about reincarnation and self-regression to discover who you might have been. No mumbo jumbo, simply someone reading her words and guiding you through an exercise of regression. You were always 100-percent awake. For many who believe in reincarnation, there is the belief that what we did, or how we died then, an attribute is carried over into this life. Be it a scar from a wound, a physical ailment, etc. My daughter had already done a regression with someone else and was content not to do it again. I, as I said, was a skeptic, and couldn’t possibly believe I was reincarnated. That is until my daughter talked me into the regression! Over a period of about 40-minutes I described in detail the village [of what we believe may have been Vikings] in a very cold region. My name was Moira. I was 12-summers old. I described my attire. How I was loved by my Mama and Papa. How I had a little brother who was only 3-summers old, whom I adored. That spring, as the air turned warmer, but the ground and fjord were still frozen, I took my little brother out to skate in our skin and fur boots on the frozen water. There were several of us children there. We had been told to play near the banks only. But being children, and among the oldest…I skated out farther than anyone else. “Proving” my fearless attitude! Suddenly the ice began cracking under my feet. I screamed for everyone to get off the ice. I saw one of the other girls grab my baby brother and run to the bank just as I was falling through. My last words? “Papa save me!” [Only in the regression… I spoke in another language. Yet, in my mind, I knew what I was crying out!] It was so very real. And I knew without a shadow of a doubt that this was no hocus pocus, but a very real memory. I was, and still am, able to describe the round home we lived in. I can see it. Remember the scents of the cooking/ heating fire, which were in a pit in the middle of the great big single room structure. Did I carry something over from that life??? Well, strangely enough, I have had sarcoidosis of the lungs for many, many years. Doctors have told me that it is a strange case, because usually if a person ever gets it, a single treatment of steroids is given and they never have it again. Yet I have it in varying stages at least 7 times a year. Sometimes more. Okay… so I assume that Moira lived many hundreds of years ago. And there was no way to verify her existence. So, even if I now believed… there would be no way to ever prove it! But then, I was approached by a client. She had a very strange dream. She asked for my assistance if providing proof that a dream she had was not just a dream, but a regression memory. [I can’t give you specific names here, due to client privacy, as well as survivor privacy.] So bear with me. My client informed me that she had dreamed she was a young girl. She “knew” she was only 15 years old. And that she was in love with a young 17-year old boy. The year was 1917. The young man decided to enlist in the Army. World War I was just at its apex, and many young men were volunteering from the community. The two teens were so madly in love, and were afraid that if he should go off to war without first marrying his sweetheart, that he was surely jinxed and would die on the battlefield. Their parents sensed the true love between the two teens, and agreed to give their permission to wed. The small family attended wedding was held the day before the young man shipped out. They spent their wedding night at the home of the bride’s parents. She being an only child, the parents went to an aunt’s house, and gave the teens their privacy for the one night they would have together. When the morning came, the young girl walked with her young soldier to the train station, where dozens of other young boys waited to board the train with him. She smiled and pretended all was well, kissed him firmly on the mouth, and waved brightly as his train pulled away. She waved with her white handkerchief until it was round the bend, and she knew he could no longer see her. Then she collapsed to the ground and wept. She feared so for her soldier boy/ husband. Pulling herself together, she walked back home. Several weeks went by, and she heard no word from her husband. She wrote to him every single day. But no word. Almost three months before she got the only letter she would ever receive. She was ecstatic when she got it! Even when her parents, as well as his, all but demanded she share it. After all… he was a war hero, simply because he was a volunteer! He had not waited to be drafted. Her mother-in-law was constantly asking if there would be a little baby soon. She would smile and say she didn’t know yet. Then, right before the third month following their marriage, a cable from the War Department arrived. Her soldier boy had been killed in action in Italy. The fifteen year girl was devastated. Writing a note which she placed in her skirt pocket, she went out to her father’s carriage house and drank from a paint thinner can, committing suicide. Her mother found her body there on the carriage house floor. My client asked if I could confirm any of this for her. She did not know either of the teens last names. She only knew first names. She stated that her dream was so real, that she somehow suspected she was the young girl, reincarnated. So, I have to tell you… I had trepidations about doing this. Perhaps this was more than I truly wanted to get into! And if it was real, would some of my reservations about reincarnation change? Still, a voice inside me said I simply had to find out. My client truly wanted to know. I began first, with the marriage indexes of the state where my client said she knew they lived. And the year of the marriage. Lo and behold, the search was simple. There was only one marriage that year with the same first two names for the individuals. As I pulled up the record, I literally had chills when I read their ages. He was 17. She was 15. Now I had their names, first AND last. As well as their parents, who had been required to give their permission for the couple to marry. 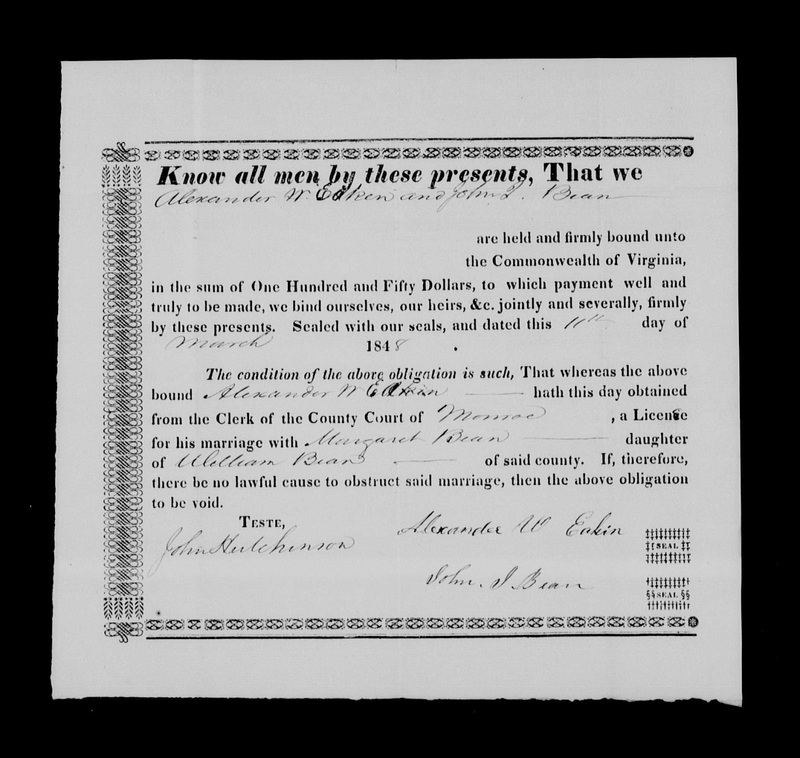 A newspaper account listed the names of the young men from the county who were shipped out the day AFTER the wedding. There was a photo of a group of men boarding the train. 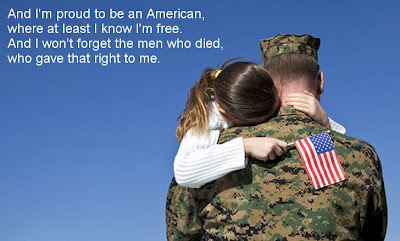 I find an enlistment record for the young man. But I still have not located a military death record. However, fast forwarding it to 10 days later, and I found a death record in the county for our young widow. Cause of death, “violent convulsive seizure”; secondary to “was “ingestion of a flammable substance, believed to have been turpentine”. It was marked as a suicide on the death certificate. And even stated her mother had found the body. 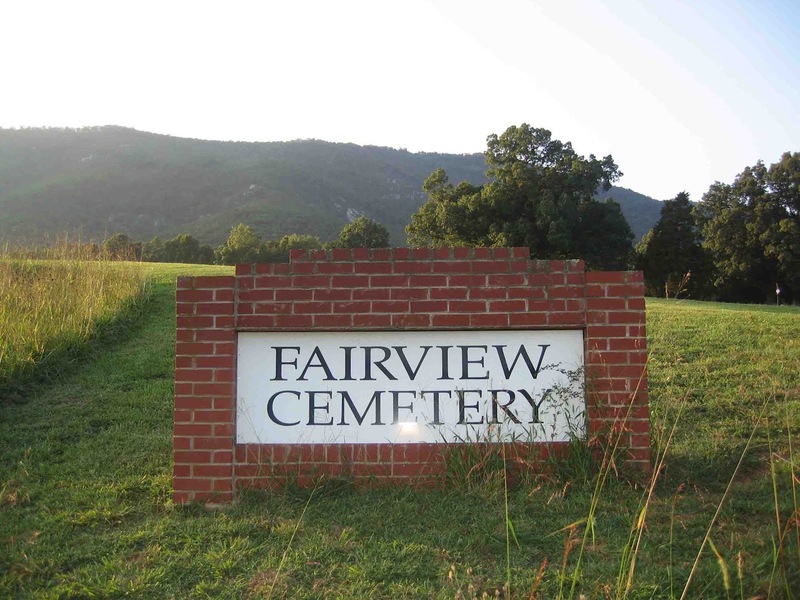 A cemetery was listed as her burial place. A quick look on Find-a-Grave and a small stone, topped with a cherub, much like you would place on an infant’s grave, marks her final resting place. The hairs on the back of neck rise, even as I write this, and I’ve had some time to digest this information! When I provided my client with all of the above, she asked if I could possibly locate any living relatives who might be willing to talk to her. I told her if there were any, I could certainly try… but that I refused to play any part in any kind of subterfuge just so that she could “scratch an itch” that might be better off left alone! She promised me that if they refused to speak to her, I needn’t even give her their names or any other information I might uncover. I did find a great deal more information in looking for relatives. After the young girl died, her parents went on to have three more children! Two of them still living! Both in good health and recollective of their parents stories of the young girl. They both stated they knew she died tragically, but that “Mother never talked of how it happened.” They were anxious to know just what did happen. Well, at least one was. The other seemed a bit hesitant. She finally confessed that she already knew. When their mother had passed away, among her things, tucked away in a chest, was a single page of note paper. A note that said simply she could not go on without her husband; she was sorry to inflict pain on her parents but life was too much without him; she was going to meet him. It was signed by the young girl. The sister neither of the two living had ever met. This younger sister had kept it private, not even telling her sibling, because that was what their mother would have wanted. Then I had to explain my errand in finding them. I worried that they would not be open to this. However, I was pleasantly surprised when both agreed to meet with my client! The older of the two said, “Oh we watch Ghost Adventures and the Bio channel all the time!” I’m sure if they had listened closely on the telephone, they would have heard my jaw drop and hit the floor! Has this changed my ideas about reincarnation? You betcha. No longer do I doubt. This has only re-affirmed my belief that this is very real! Yes… it still gives me goosebumps! But I don’t think I’ll ever be afraid of death, ever again! Maybe next time… I can come back and not make the mistakes I’ve made this time! Wouldn’t that be something? A chance to do it all over again!!! Below is a wonderful video regarding reincarnation. Enjoy! 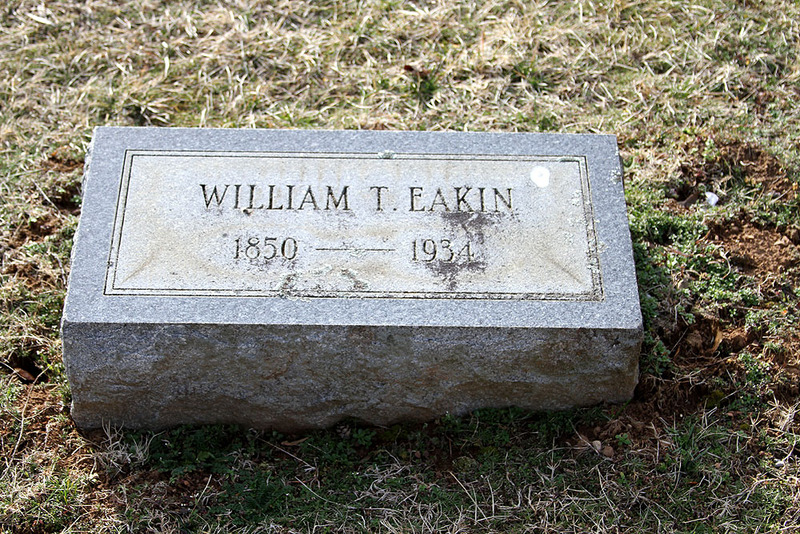 William Thomas Eakin was born Nov 1851 in Craig County, Virginia to Alexander Eakin and Margaret Bean Eakin. He was one of at least four known children born to the couple. His mother, Margaret, had been born and raised just across the mountain from where he was born, in what is now West Virginia, but at the time was still Virginia. On 22 Dec 1870, William married Nannie Susan Caldwell [1849-1942], also of Craig County. She was the daughter of Archibald Caldwell, Jr.[1809-1878] and Nancy Trout Caldwell [1811-1888]. 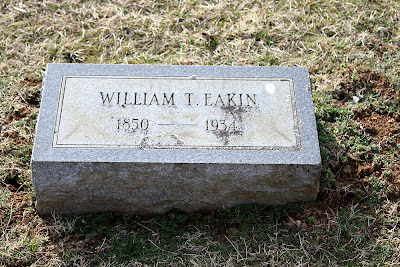 William died 18 Apr 1934, and is buried at the Fairview Cemetery…. Much like Frances Mayes in Under the Tuscan Sun, I have fallen in love with the Virgin Mary. Like Mayes, I am not Catholic, and certainly don’t pray to Mary. But her watchful gaze, and tender look watch over me from several areas within my home, and like Mayes, I have come to think of her as more like my beloved Aunt Mary. A friend and confidante. Someone to share my burdens and woes with. Here is another of the Virgin Mary paintings that hang within our home. I don’t know the artist. But I am in love with it. And one day, I will leave it to my grandchildren. And pray that Mary will bring them the comfort she has brought to me. Week 22: Family Recipes: Family recipes are about more than just food. They provide sights, smells and memories of family history. Which family recipe are you most thankful for? Who was the first person to make it, and how was the recipe handed down through the generations? Has the recipe stayed the same all these years? There are so many recipes I think I love from my Grandmother’s, and some from even my great-grandmothers! This probably should have been a tough choice. However, the recipe I am truly most thankful for would have to be our cornbread recipe. Put the lard in a skillet [cast iron only] and while it’s melting on the stove, mix the other ingredients. Swirl the lard around in the skillet, making sure it greases all sides and bottom thoroughly, then pour the hot lard in the mixing bowl with the mixture. Stir to mix well. Now pour the batter into the skillet and bake in the oven about 35 minutes or until a broom straw inserted into the center of the skillet comes out clean. And that’s how Grandma Bean made it. A good Southern cook! The recipe has been changed slightly over the years. For instance, we no longer use lard, but we use vegetable oil, and only half as much! The baking soda and salt are no longer used, and self-rising flour is substituted for the all-purpose flour. Because of the fat, buttermilk is seldom used, instead 2% often takes its place. However… every once in a while, I simply have to make it as close to what Grandma made as I can. While I don’t have a wood cookstove as she did, for a little while, I mix it all up, pour it into the skillet, and slide it into the oven. Pretending the whole while that I’m standing next to the warmth from that old stove. Waiting for a slice of that delicious, grainy cornbread! When it comes out, cutting it right away and slathering on the real thing… butter! Why is this the recipe I’m MOST thankful for? Well, it’s versatile! You can eat it with pinto beans, or have it with soups or stews. Cold you can put it in a bowl and top it up with milk and eat it like you would cold cereal. As I was raising my five children, money was extremely tight. And making cornbread is very inexpensive! We often made a whole meal out of cornbread, butter and homemade jelly or jam I’d canned! 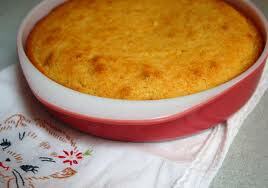 …you simply can’t beat Grandma’s cornbread! 1) Who is your MRUA - your Most Recent Unknown Ancestor? This is the person with the lowest number in your Pedigree Chart or Ahnentafel List that you have not identified a last name for, or a first name if you know a surname but not a first name. As always, love Randy’s challenges! Always keeping us on our toes, thinking outside of the box, and having fun doing it! 1) My MRUA is #31. Annette. She was the wife of immigrant Joseph Eve [1829 – 1892]. We know that Annette and Joseph had at least 7 children, before she died at the young age of 30 in 1870. [17-months later, with a houseful of small children, Joseph married Annette Duboi and they went on to have 8 children together, as well.] We have Annette’s birth and death dates from her death record. However, this does not indicate her parents names, and states she was born in Indiana, where she and Joseph are believed to have wed.
2) I check up every few months to try and locate this one. My mother isn’t in the best of health, and this is one she’s always wanted to find out, so I hope to find Annette’s ancestry before something happens to Mother. 3) Online sources haven’t seemed to assist me any with this one, and I’ve run the gamut! 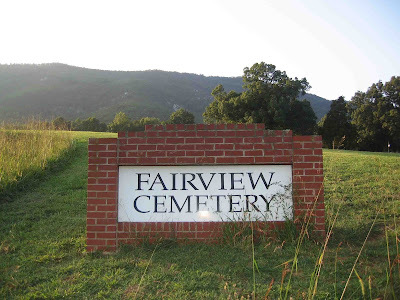 However, I am hoping to make a trip to Floyd County soon, and when I do I will be checking the archives there and hope something will turn up! Thanks again, Randy! As always, loved this challenge! How about you, Reader? Try this challenge out for your own MRUA! You never know when some small item, or place, will lead you to finding that hidden identity you’ve been searching for! So, this week's memories are "Surgeries". Well, I've had a few, although perhaps nothing fancy, or exciting, my descendants may one day want to take a look at this list! A few months later, a smaller tumor was removed from the gum on my upper jaw. Not nearly as exciting! Nothing until I was 27, when I was "fixed". Ya'all know that term right? A tubal ligation to prevent further pregnancy [five children in five years.... yep, supin' in the water fer sure!]. And, if my memory hasn't failed me, that is the full list of surgeries I have had. Nothing major. But all are memorable! What about you? Be sure to list the surgeries you have had for your families history, too! Family Recipe Friday - Sugar and Gluten Free Cookies! So, this isn’t an old family recipe. Instead, I am writing down the recipes I use. The ones I fall back on regularly, and will have these put into a printed volume to give to my children and grandchildren. Here’s one we simply made up for our grandson, who could not have sugar, nor could he eat anything with gluten. But he loved cookies! 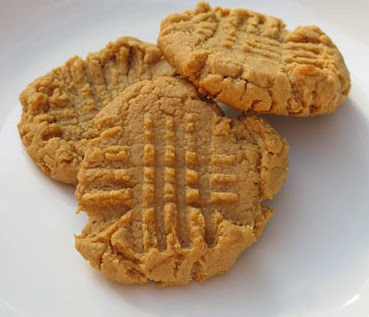 I adapted this from a simple peanut butter cookie recipe, and it’s fast, easy, and the kiddies love it! In a medium mixing bowl blend all ingredients together. Drop by teaspoonful’s on a cookie sheet. Dip a fork in your sugar alternative and press each cookie flat, making cross-hatch marks. Bake approximately 10 – minutes, or until golden. Allow to cool in the pan for 10-minutes before removing, or they will crumble. The longer they cool, the firmer they will be. That’s it! Nothing else! And, as previously stated, it’s perfect for the child with intolerances to sugar or glutens. Since I don't know alot about dolls, how to tell if they are old or not... there's not a lot I can tell you about the origin of these dolls. Except that they were a gift to me, from my favorite collector... my sister. Both look decidedly feminine to me, although the one on the right is dressed in a male costume. I want to switch out the clothing, just to change them up a bit, as they sit in the corner of my bedroom, but don’t know for sure if getting rid of their current clothing would de-value them, as I don’t know if the outfits are original or not. [I did clean the clothing, as both outfits were terribly yellowed! I simply washed them in cool water with Woolite and they came spotless.] But I’m thinking a summer outfit is definitely in order! They are both treasures to me, because of who gave them to me. My precious sister! I don’t get to see my sister as I’d like, due to her heavy work schedule, as well as the fact that she is the full-time caretaker for both out Mom and our Dad! [She has all the patience in the world! I’d be pulling my hair out!] So, she’s also my hero!!! But there’s not a minute I don’t think about sneaking away with her, and just being the “Beane girls” one more time! 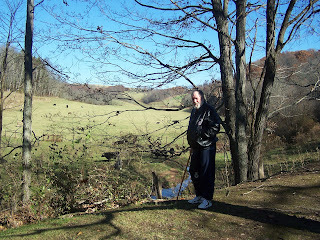 My handsome Texican in the fall as we searched through old cemeteries. This stone is located in New Zion Union Church Cemetery, in Waiteville, Monroe County, West Virginia. It is the stone of William McHarvey Bean [1832-1890] and his wife, Margaret Smith Perkins Bean [1826-1891]. 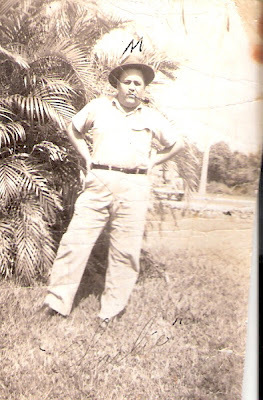 The photograph was taken a few years ago, and the man pictured is the grandson of William and Margaret, my Dad, Walter. It was taken on Memorial Weekend as Dad and I placed flowers on all of the graves. and thence S 20 E 27 poles to the beginning with its appurtenances. and of the Commonwealth the sixty seventh. Every year, in and out, at every family gathering, I am asked to provide this rich, decadent pound cake. It is a recipe that my family has been sharing for more than 30 years. While it hasn’t been passed down to “generations”, it is one that will be I am sure! Years ago, my younger sister gave me this recipe, which is why I call it “Sissy’s” Cream Cheese Pound Cake. It’s simple and easy to make. And everyone loves it’s rich goodness! But I warn you…. It’s addictive! Preheat oven to 350-degrees farenheit. Make sure rack is in the center of the oven. 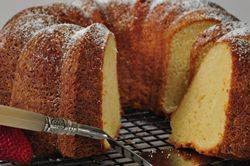 Prepare a bundt or tube cake pan by greasing and flouring. Bake for 1-hour and 15-minutes. Allow cake to cool in pan for 20 minutes before removing. This can be eaten plain, or you can make a drizzle of 1-cup confectioner’s sugar and 2-tablespoons lemon juice. This was brought back to me from the orient. I believe when the "ex" was stationed in Korea and he went on R&R in Japan. It is red and black laquerware with mother of pearl ornamentation, and gold leaf. It was old when it was purchased more than 20 years ago. Some day, it will be given to one of my children. Son of John M Bean [1866-1954] and Ada Burdette [1883-1929]. Married Mildred Tolley in 1943. Father of Betty Jane, John, Cathy, and Darrell. 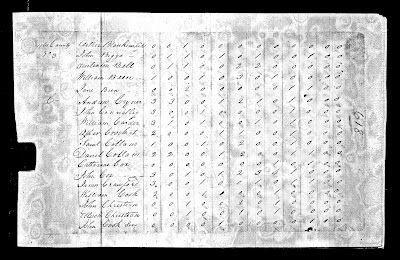 For a very long time we did not know who our William Bean's [1792-1864] parents were. They are believed to have been William McBean and Sarah Bane, although this has not been proven. 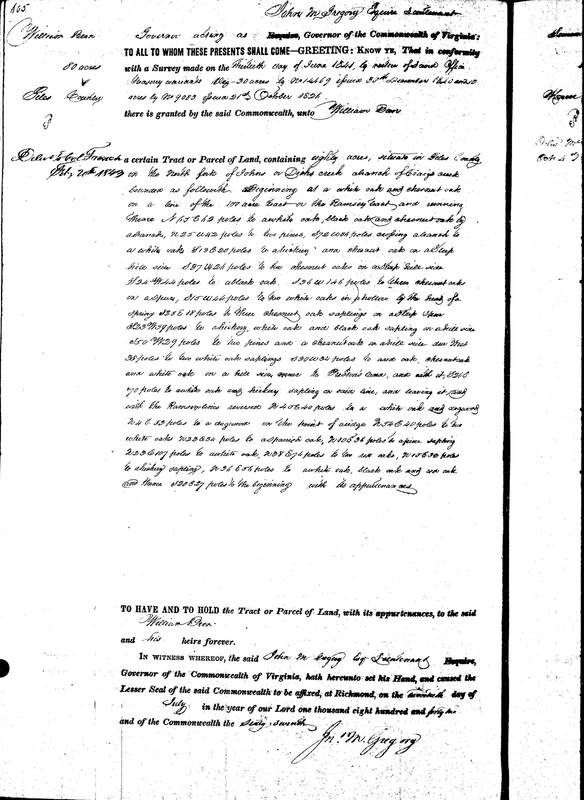 I routinely pore back over census, birth, death and marriage files hoping to get a glimpse of something... anything that might provide us proof, or disproof of this heritage. DNA testing has not matched us with anyone, other than our own line, and so literally has not helped us. Then today, a little startling bit of information was located when I searched the census indexes on Ancestry.com using an odd spelling. 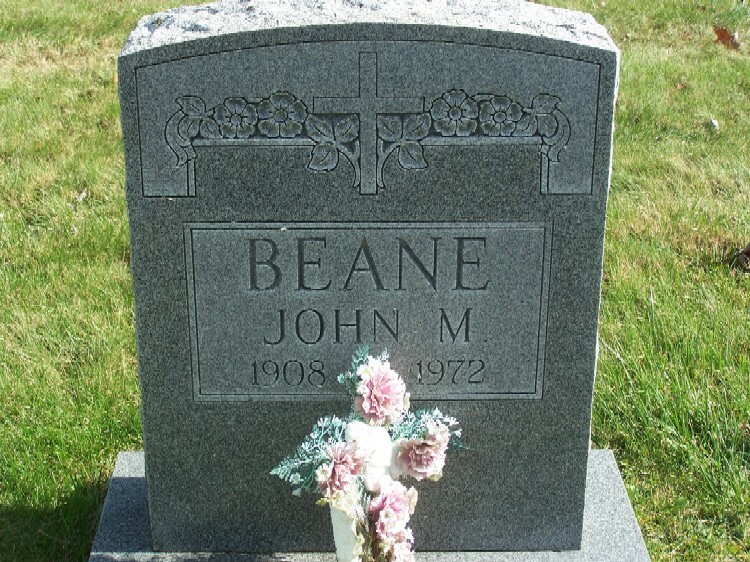 Instead of using Bean or McBean, I instead used a spelling I had once found my great-grandfather's name as, BEEN. 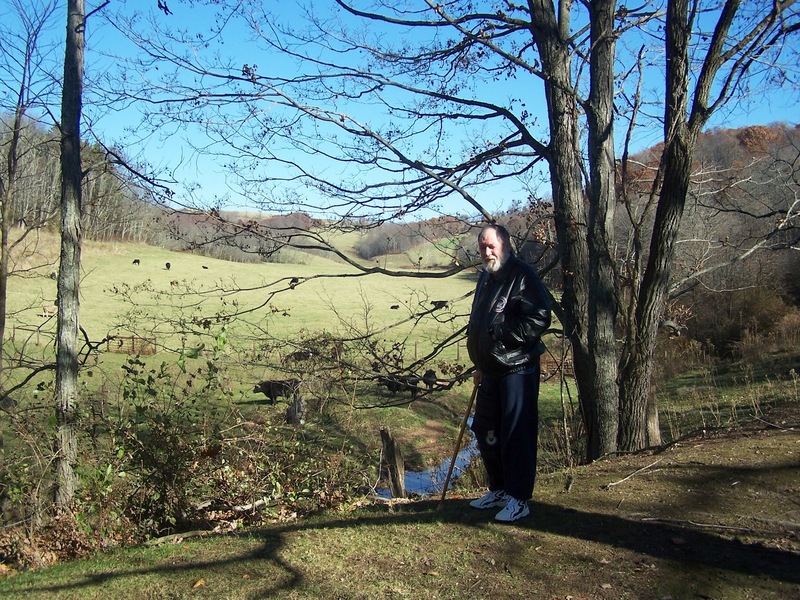 It is known that William McBean owned property in Giles County, Virginia. And it was believed he had died, and his wife was unable to care for her young sons, and placed them up for indenture. William McBean's name has been found spelled McBean, McBane, and Bean. And his sons all spelled their names Bean. However, until now, we have never found any further hint of the man beyond 1804. 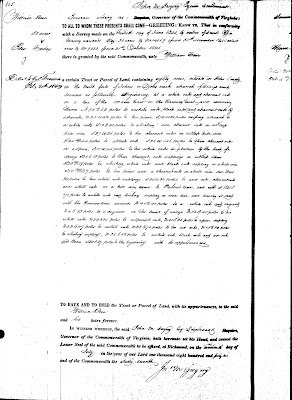 His property was sold in 1805 due to lack of payment on taxes. It was, therefore, presumed he had died. On line 4 we find a William Been. He is between the ages of 26-44 [perfect for the father of gr-grandfather if he is on the upper end of that age bracket]. We note there are children in the home: a male less than 10, 3 females under 10, and a female between 16-25. Is it possible? Could it be? Is this the same man??? After watching this past week's episode of Who Do You Think You Are with Jason Sudeikis, I of course jumped to this conclusion! But let's see if we can possibly locate again. Ah, yes... there he is, in the 1820 Census. Listed as William BANE. Hmmm.... Bane? Isn't that supposed to be his wife's name? Sarah Bane??? Sarah is supposed to be the daughter of James. Although records indicate otherwise. [James had a daughter Sarah, but she isn't normally found with William Bean.] As a matter of fact... Sarah's father, James, as well as her siblings, lived in Giles County. Okay.... so thinking rather abstractly, could it be that William's last name was really BANE and not McBean? Could it be that the name Bane was really influenced by William, rather than his wife? Oh, it's a conundrum of major proportion! I will have to definitely see if our DNA can be compared to known DNA of Bane descendants to rule out the wild theory that now courses through my head! This is a rural area, and it would be extremely easy, at that time, for a man to have two separate families! Definitely time for some deeep digging! When I was a kid, almost every road we walked down in our small community [yes, we walked down them! Even as a teenager, there were few teens with cars of their own! As I recall, only two kids drove to school, and only then because they had after school jobs that were too far away from home to walk home after they got off work in the evening!] there was a log barn. These are becoming a thing of the past today! When you see one, which is quite rare, they are usually crumbling and falling down from lack of upkeep and care. Newer barns have replaced these, which were often made from logs felled from the very property upon which they were erected. 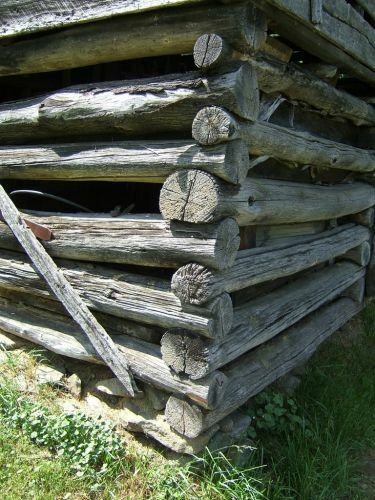 Some were built with the bark still upon them; some were treated with creosote or tar, to prevent decay; some were milled square – others left round; and the variety and style of architecture of each barn was unique in its own self. I love barns. And especially these old log ones. To me they represent the hardy individuals who owned the property on which they stand. They represent an era where functionality was more important than aesthetics; where what the Jones’ had was not so important as what an individual owned. I miss the old log barns. And I’m grateful for those that still remain; a gentle reminder to a time gone by. was the daughter of 30. 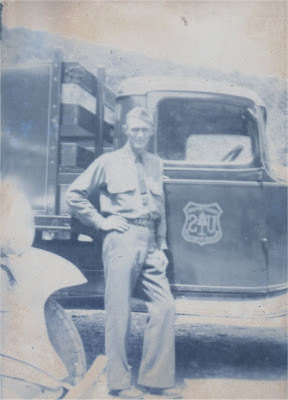 Joseph EVE and 31. Annette. Feb 1904 in Floyd Knobs, Floyd Co., IN. She was the daughter of 58. Francis SPRIGLER and 59. Indiana. He married Rose KNABLE about 1830 in Alsace, Germany. 59. Rose KNABLE was born 1804 in Alsace, France. She died 1882 in Floyd Knobs, Floyd, Indiana.